Dental and Oral Hygiene Myths – Busted! 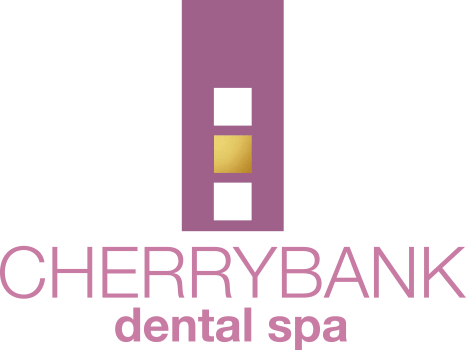 As a dental hygienist, I spend most of my day is spent giving the patients I work with oral hygiene advice. It isn’t rare for my patients to respond with – “I know how to clean my teeth, I’ve been doing it for “X” amount of years!” It makes sense, why change what you’ve been doing for years if it’s never done you any harm? Well, in reality some of what you may have been told to do in the past has now been found to be damaging to your mouth. Here are some dental “myths” and why it may benefit you to break the habit of a lifetime. A repetitive, horizontal scrubbing motion with a firm toothbrush will wear away your gums and enamel over time – exposing the root surfaces of your teeth which are thinner, more yellow in appearance and easily stained. Gum wear and recession also makes your teeth far more likely to be sensitive. Use a soft bristled toothbrush with a circular motion or an electric tooth brush – it cleans just the same but is gentler on your teeth and gums. Rinsing with anything straight after brushing, even water, effectively rinses the good ingredients of your toothpaste down the sink. Spit out the excess toothpaste but don’t rinse. If you like a mouthwash, then use it at least 30 mins after brushing or at a separate time. In reality, your gums bleed because you aren’t flossing properly, or you aren’t flossing enough! Bleeding gums (or gingivitis) is an inflammatory response caused by a build-up of plaque bacteria. The best place for bacteria to get trapped is in between the teeth. 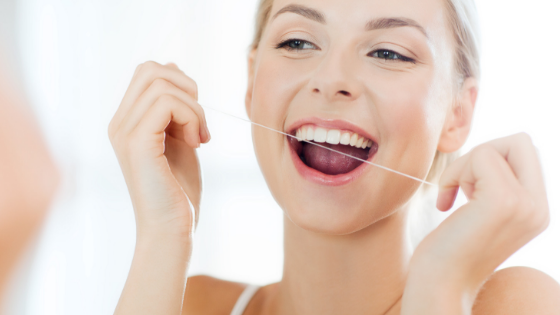 Keep persevering with flossing daily or using interdental brushes and the bleeding will stop. In the meantime, see the bleeding as proof that you’re flossing in the correct area! Tooth whitening by anyone other than a trained and registered dental professional under the prescription of a dentist is ILLEGAL. Don’t risk it! Think of the time and effort it takes from an orthodontist and braces to move teeth and you will realise that one tooth growing in simply doesn’t have the momentum to move an entire arch. Although your wisdom teeth growing in and movement of your teeth can both happen in your late teens/the early twenties, they are generally completely unrelated. Your teeth may move if you haven’t worn your retainers from previous orthodontic treatment or due to a late spurt of growth in your jaw. It’s so important for a child to learn to properly look after their teeth and visit a dentist regularly. Show them this early with their baby teeth and it sticks with them to adulthood. Baby teeth also vital in saving space and a correct bite for the adult successors.